What Is the 2019 Chevrolet Bolt EV? 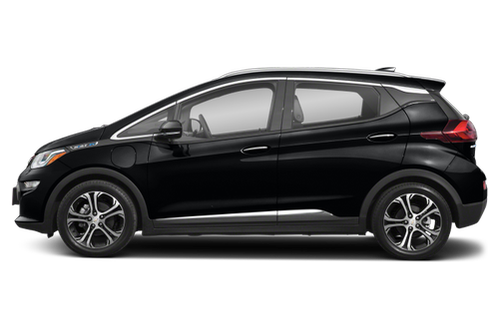 With a future-is-now approach, Chevrolet's all-electric Bolt EV hatchback delivers 238 miles of range on a full charge, according to the EPA, which should go a long way toward eliminating the kind of range anxiety drivers experience in electric cars with shorter driving ranges. Unlike the Chevrolet Volt, which has a small range-extending gas engine, the five-seat Bolt EV is a battery-electric car that offers optional DC fast charging in addition to 120- and 240-volt charging. Competitors include the Nissan Leaf, Hyundai Ioniq Electric, Volkswagen e-Golf and Tesla Model 3. What's New on the 2019 Chevrolet Bolt EV? A new tire fill alert beeps the horn when an underinflated tire reaches the correct air pressure. What Features in the 2019 Chevrolet Bolt EV Are Most Important? Standard features include LED headlights, a digital instrument panel, Bluetooth connectivity, a 10.2-inch touchscreen multimedia system, and Android Auto and Apple CarPlay smartphone connectivity. Options include front and rear heated seats, a heated steering wheel, wireless device charging and a Bose premium stereo. Available active safety features include forward collision warning, low-speed automatic emergency braking with pedestrian detection, lane departure warning, lane keeping assist, and blind spot warning with rear cross-traffic alert. Should I Buy the 2019 Chevrolet Bolt EV? The Bolt EV is a good step forward in the development of electric vehicles that are affordable for average car shoppers. The car offers plenty of driving range on a full charge, plus hatchback utility with its 56.6 cubic feet of maximum cargo room. Ride quality is a bit busier than the competition, but the car accelerates quickly. The Bolt EV is eligible for a federal tax credit, but it's already begun to phase out, so be sure to check the schedule before buying. The 2019 Chevrolet Bolt EV has not been tested. Which 2019 Electric Cars Have the Greatest Range? Like what you see? 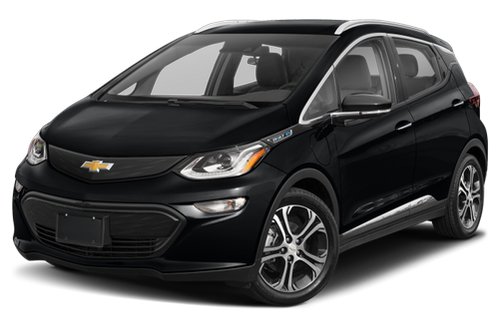 Find the best deal on a Chevrolet Bolt EV today.